The Seminyak Beach Resort & Spa is a chic beachfront resort in the heart of Seminyak within mere steps of several of the island’s hottest venues. The sophisticated resort provides a wide variety of elegantly appointed guest rooms, suites and villas designed to accommodate the needs of your dream destination wedding. 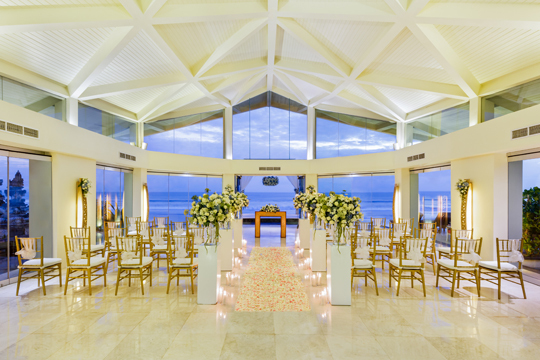 The Seminyak’s beachfront wedding pavilion is a multi-purpose venue that can cater for gatherings and celebrations, where opulent flower arrangements transform the setting into a romantic wedding chapel for up to 150 guests. 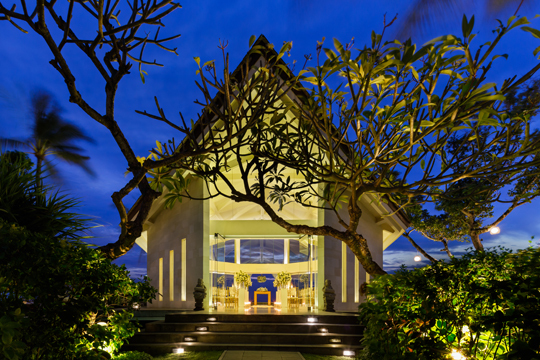 Whether it’s a cocktail party at sunset or a formal sit-down dinner, The Seminyak offers world-class dining options, a pampering full-service spa and luxurious accommodation set within a charming landscape that encompasses lush native greenery, lily ponds and traditional thatched buildings. 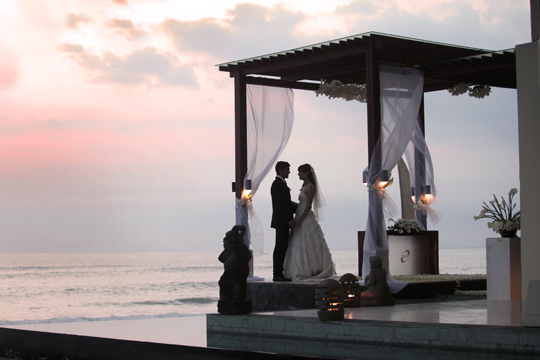 The Seminyak offers an attractive wedding package perfect for your special day, helping to create an ambience never forgotten by you, your friends and family.